With the start of the new year drawing closer, it’s time for a Pop Tab Pandemonium mid-contest update! We are excited to announce that as of December 12th, we have 82 schools registered. 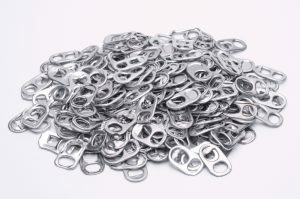 We can’t wait to see how many pop tabs are brought in by the end of the school year, but more importantly—the impact that those tabs will make on the families who call us home. *For comparison, last year’s winner brought in over 3 lbs. per student. Don’t see your school listed (or haven’t dropped off)? Don’t worry… There’s still SO MUCH time left! The contest ends on April 28th, 2017 at 5:00 pm (after making an appointment). Keep encouraging your students to collect their tabs, use the materials in the PTP Started Kit that you received via email for help! Are you a school and want to participate? Read more about the contest, get your school registered, and get started! All participating schools must be registered by March 31, 2017. Questions? 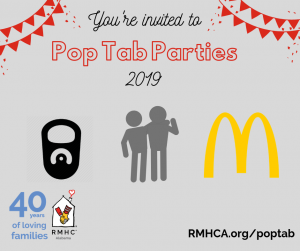 Contact Pop.Tabs@RMHCA.org or 205-638-7260.